Recycle for Wales is the national recycling campaign for Wales. 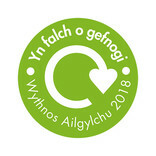 Supported and funded by the Welsh Government, and adopted locally by local authorities and other partners, the campaign aims to encourage consumers to recycle more things more often from all around the home. Wales currently boasts the highest recycling rates in the UK and we want to see a continued growth through an on-going programme of engaging, inspiring and informative campaigning. This collection contains Recycle for Wales 2018 campaign toolkit and all associated assets for partners for our new social norming messaging approach. Now in its 15th year Recycle Week is a celebration of recycling. The aim of the week is to encourage the public to recycle more, by demonstrating the benefits of recycling items from all around the home. These resources have been refreshed to reflect Recycle for Wales's 'Good to Know' campaign and can be used on their own to support an existing food waste collection service to raise awareness of and increase participation in that service. 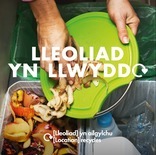 They can also be used alongside Recycle for Wales’s existing ‘Introductory’ and ‘Instructional’ food recycling leaflets for local authorities rolling out new food recycling collections. Key stage 1 and 2: Recycle for Wales and Busta investigate various waste materials. Following on from the generic Good to Know resources, the materials in this collection focus on paper and card. A collection of plastics material stream icons for use in Wales. The Unusual Suspects artwork is an extension of the Good to Know campaign but displays a range of metal and glass items that are often overlooked for recycling. The themed resources in this collection can be edited to add/remove items to ensure they reflect the materials collected in your local collection scheme. Recycle Week is a celebration of recycling. The aim of the week is to encourage the public to recycle more, by demonstrating the benefits of recycling items from all around the home.